Home / Cremation / Why Choose Cremation? Why choose cremation over burial? Here are some factors to consider. Cremation, depending on what other additional options your family chooses, generally costs about 40-80% less than traditional burial. If you’re going with traditional burial, nature will take its course so even with embalming you have just a short window of time for a service, any necessary transportation, and burial. 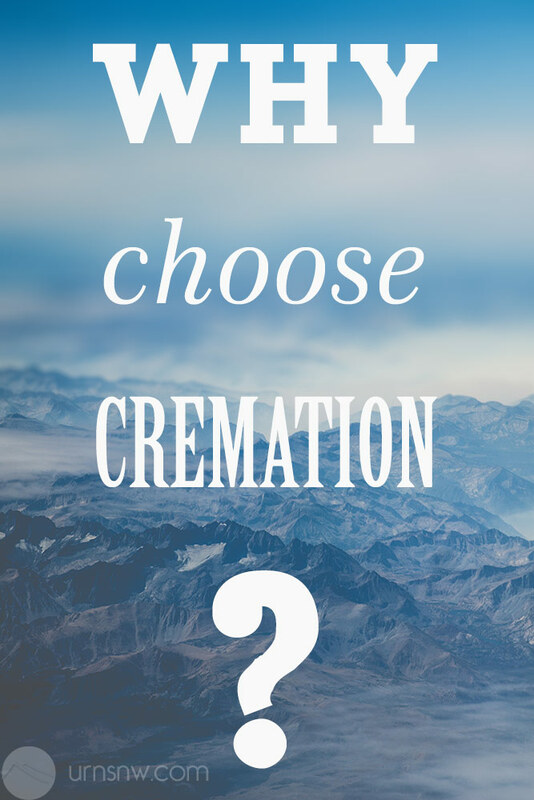 With cremation, your options are vastly expanded. Once the cremation has taken place, you can wait a week or 30 years before burying the remains; you can scatter the ashes on top of Mount McKinley, or you can take the time to shop around for the ideal columbarium niche. Often with cremation the remains are kept by the family, stored in a columbarium niche, or scattered. Each of these options saves cemetery ground space. If you are still interested in ground burial but would like to save space, cremation is the best option since the amount of ground space needed is much less than what is needed for a full-size casket. Many ‘traditional’ burials involve embalming, which uses formaldehyde. Formaldehyde is a carcinogen, known for its toxicity and volatility. Burial or scattering is not necessary; cremation allows you the unique option – no matter where you live – of keeping your loved one close with a beautiful cremation urn. Here are some more reasons why people choose cremation. I loved it when you said that unlike traditional burial, cremation will give us the option to keep our loved ones close until we are prepared to let go. If that is so, then I am sure that my little brother will prefer to have our dad cremated. After all, the loss was too much for him, and I do not think that he is ready to let go of our dad yet. I want to give him more time to prepare himself.